Perfect your fruit slicing technique with this Fruit Ninja Black LARP Katana. Officially licensed by the mobile game Fruit Ninja by Halfbrick, this fantasy foam sword also makes a splendid addition to any Japanese cosplay ensemble. 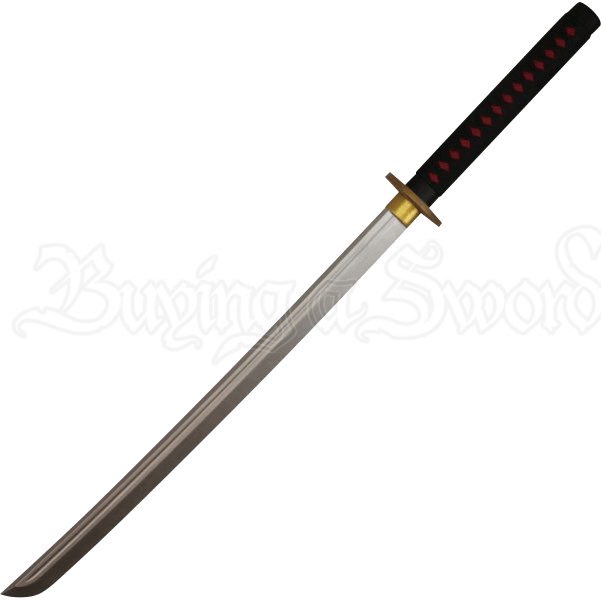 Crafted from dense latex foam with a unique fiberglass fusion core, this Asian LARP sword is lightweight and extremely flexible. The durable latex construction with painted details provides a realistic look for any cosplay or theatrical production. The metallic silver blade features a fuller near the spine. A golden tsuba displays an Asian dragon. The grip is wrapped with black cord, revealing the red handle beneath. 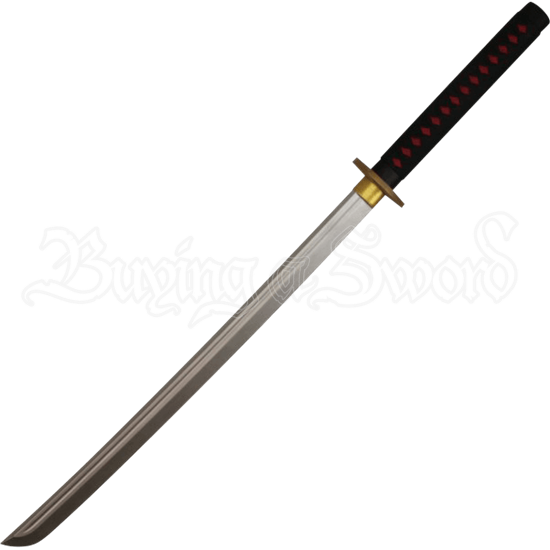 An excellent blade for cosplay or LARP events, this Fruit Ninja Black LARP Katana is suitable for light sparring.